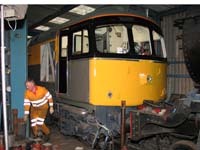 The cutting out gang and Dave The Welder have done wonders with cab 2. (See the Pictures below) The new panels are fabricated and in place on the lower half. 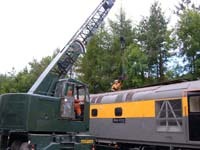 With a little help from Alan Cash and his crane we've finally got the liners out. 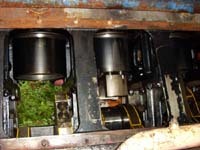 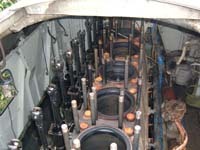 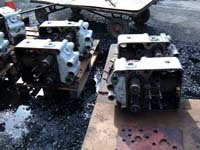 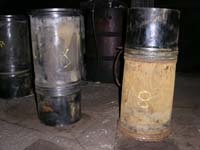 We've also got the triple pump in bits for a rebuild, the sump has been pumped out and the cleaning process started. 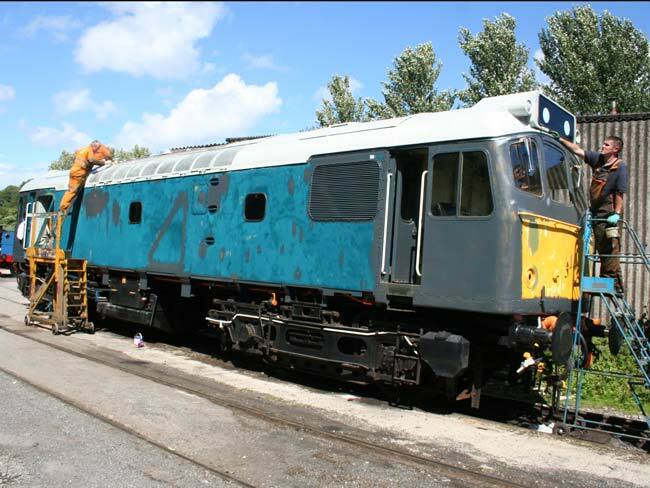 Not a pretty sight, it looks like a scrap yard in there with lumps of metal lying around, made the 25's look quite good! A shy painter scuttles away from the camera! 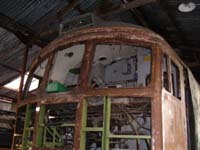 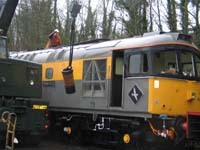 The completed No.1 end in the workshop. 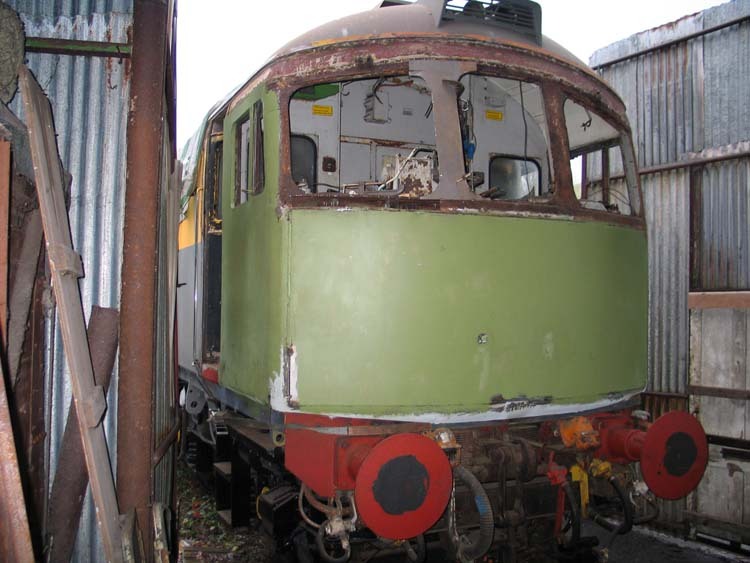 The No.2 end of 33 002 with new metal and undercoat. 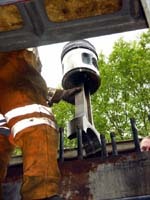 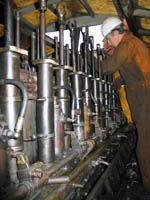 The liner is guided out. 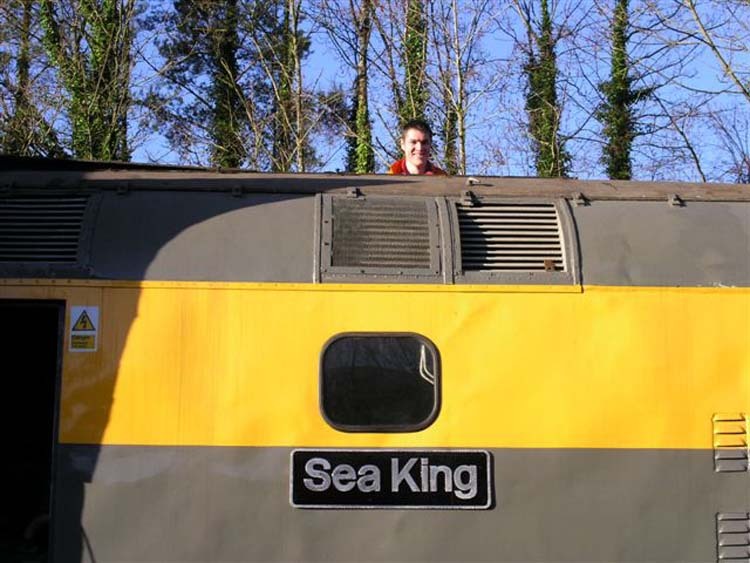 The liners "On the floor"
Pete Salutes a liner as it leaves port! 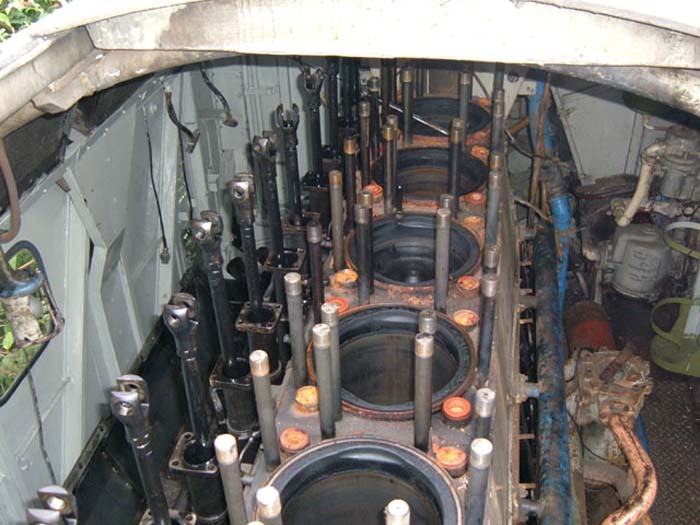 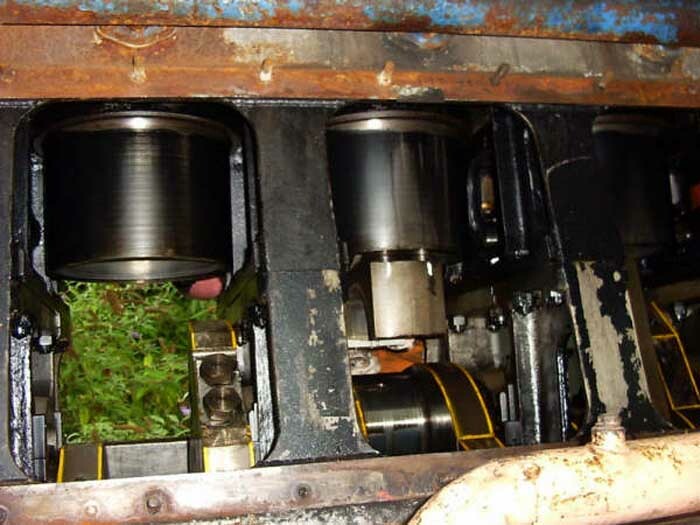 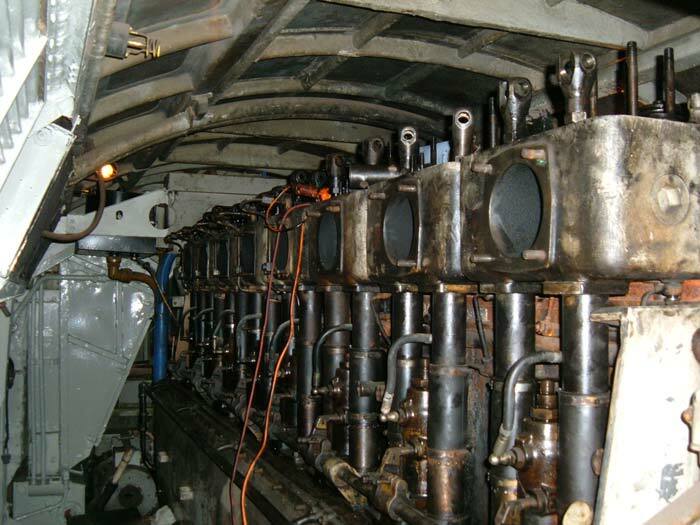 October 2006: Many hours of work has been spent with the cylinder heads, cleaning and valve seat lapping with our wonderful Hall Toledo Valve seat grinder. The valves have come back from Plymouth where they have been refaced. 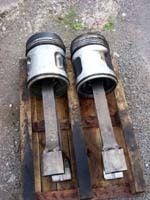 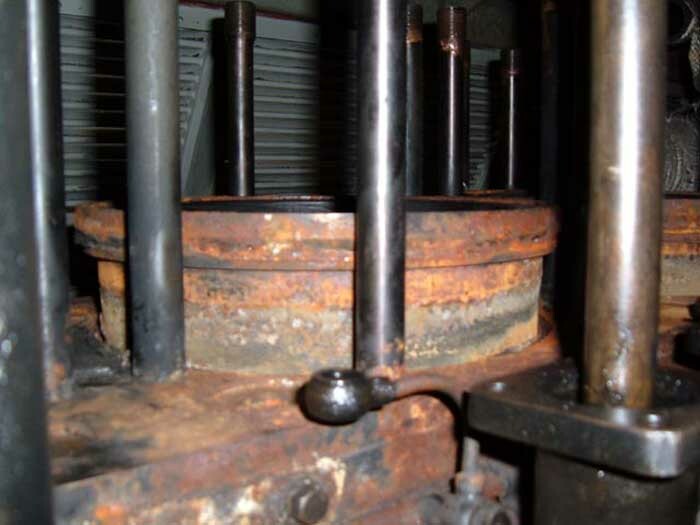 We've got the pistons and liners out now, new big end shells have been sourced with some help from our friends at the Bodmin & Wenford Railway and various other parts ordered. 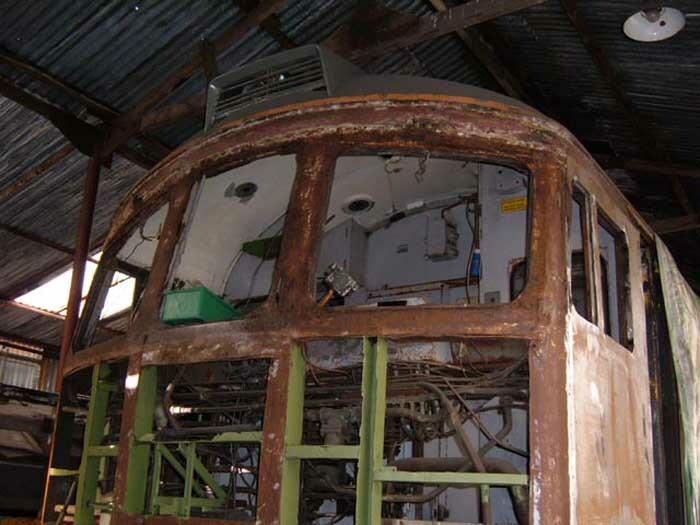 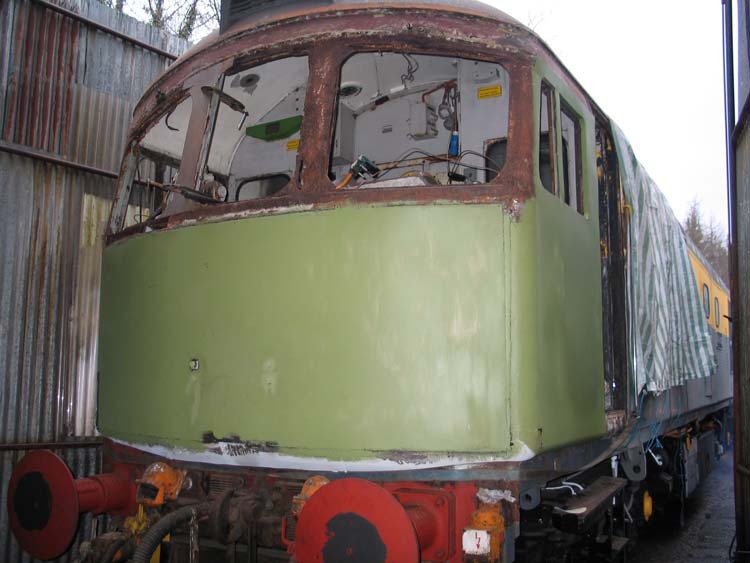 Dave the Welder has started on number 2 cab now which is even worse than the other one. Even the supporting struts have rusted away on this one. 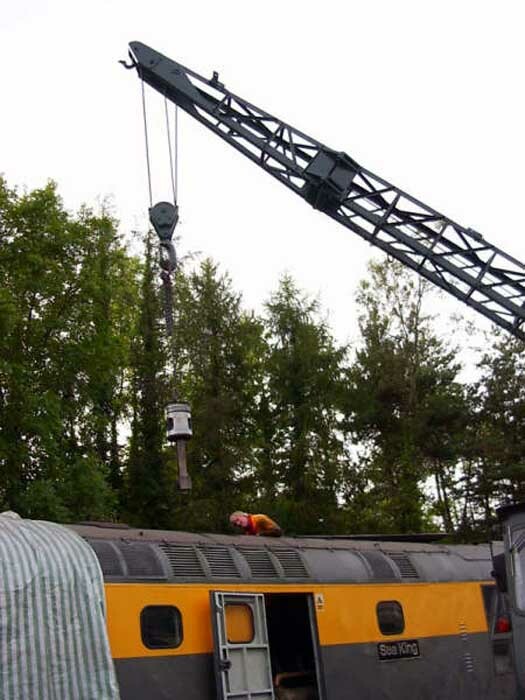 It seems only good luck held the cab on! 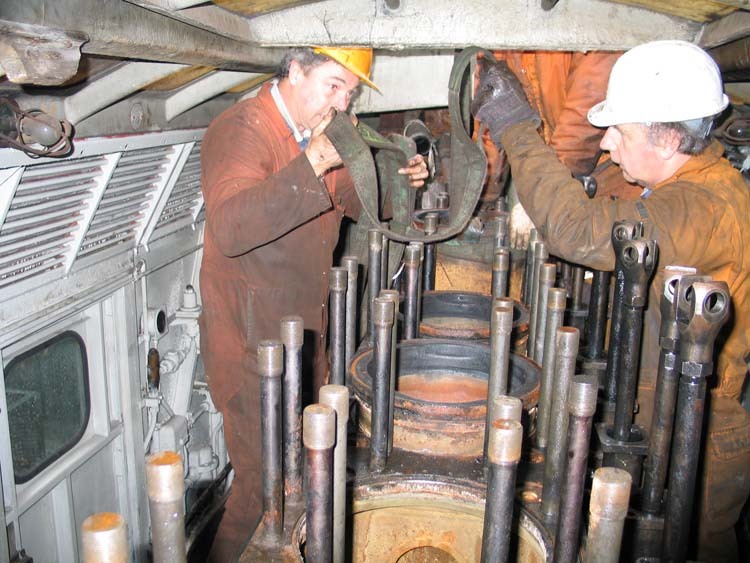 A liner comes out of the block. 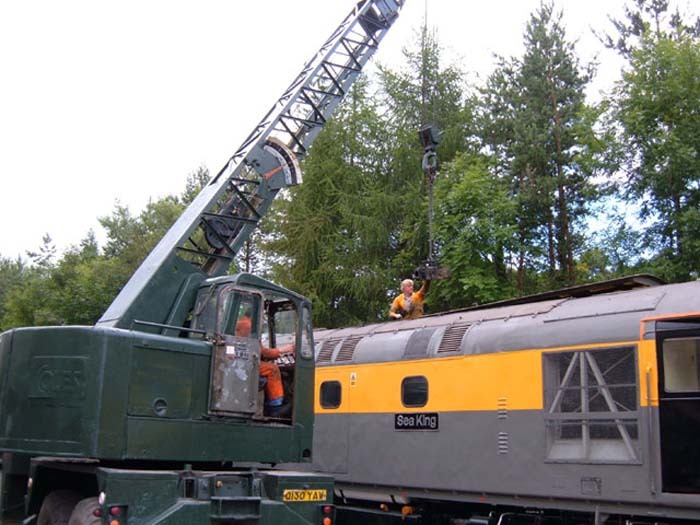 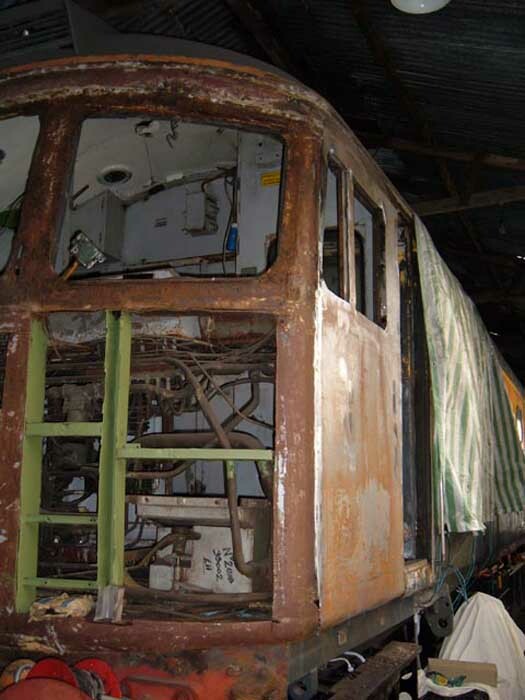 August 2006: Even ewith an inch drive T bar and long piece of scaffold our muscles were not up to shifting those head bolts. 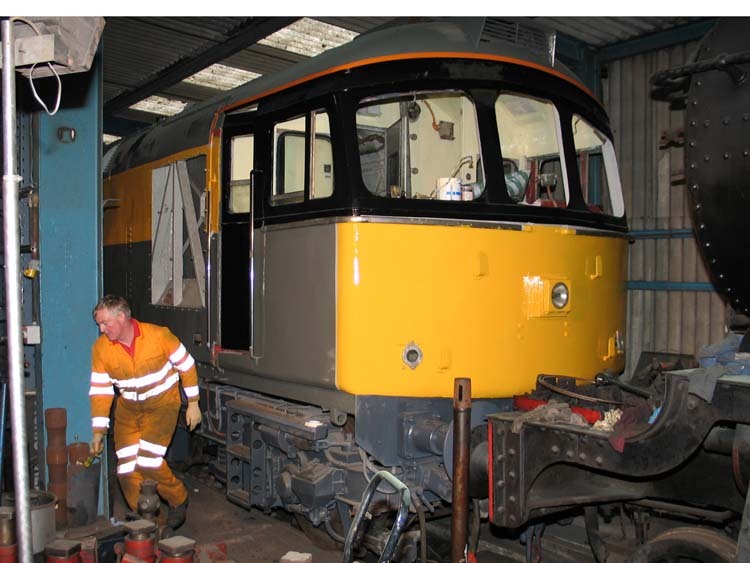 Luckily help was at hand and as we couldn't find Gary, we were very kindly loaned a 5 times Torque multiplier and Pete then undid them on his own. 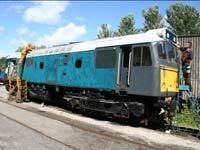 (He must have had at least 3 weetabix for breakfast that morning!) So now the heads are ready to lift and its Big end bolts next! 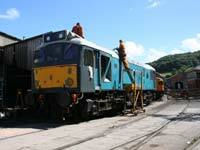 The Block with the heads gorn! 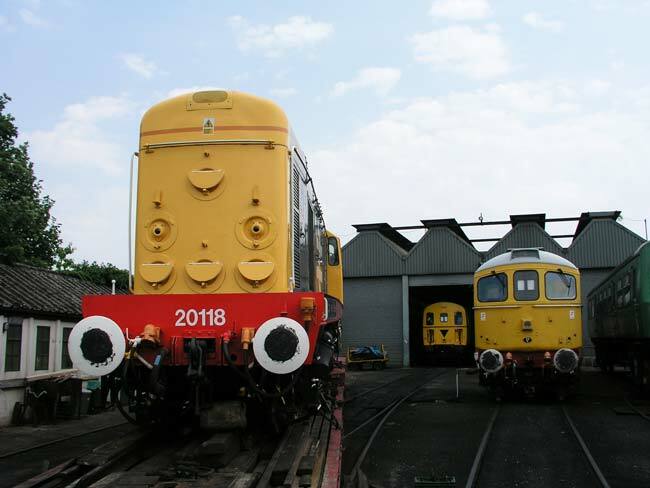 The heads make their getaway! 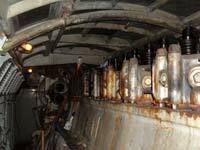 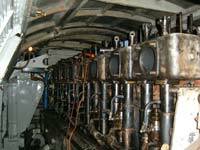 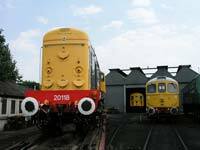 July 2006: Now that 25 901's engine is complete, suckers for punishment that we are, we have started on 33 002. 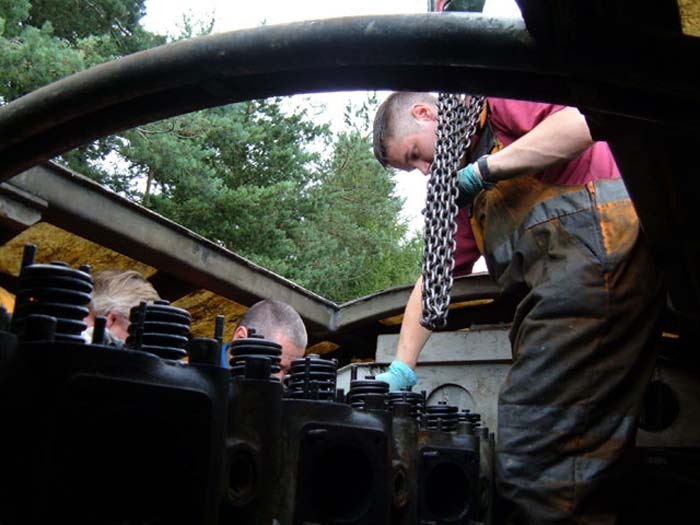 We've got the exhaust off and have started on the Cylinder head bolts. These have proved even tighter than the rat's, so now we're waiting for an inch drive T bar socket to arrive as 3/4 inch drive is clearly not up to it! 33 002 Shows off her new paint! 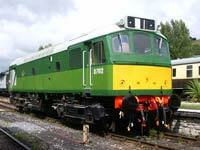 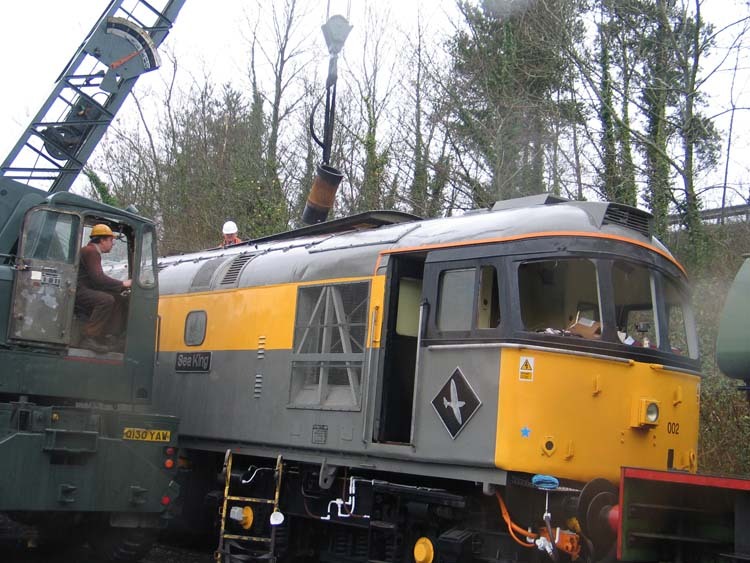 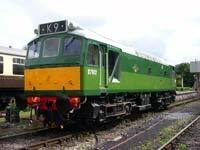 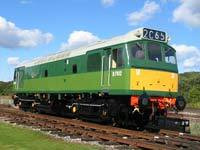 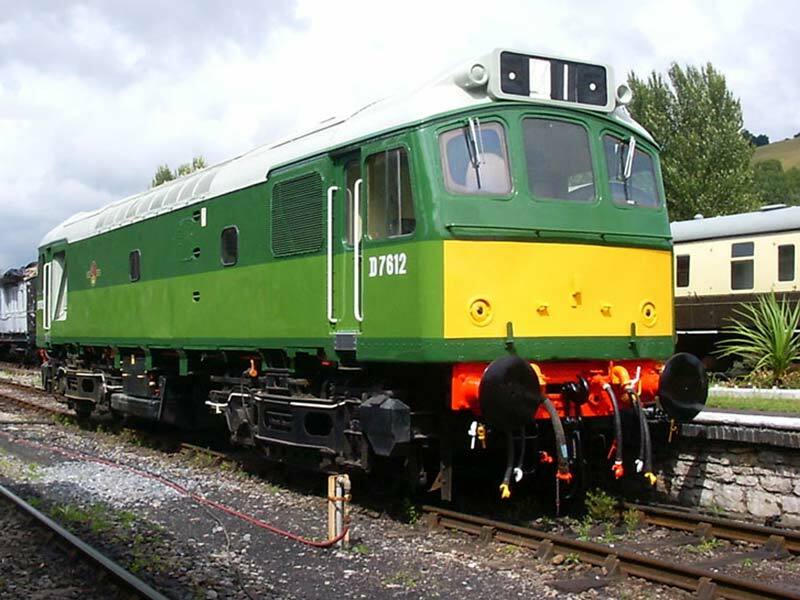 August 2006: Not content with rebuilding 25 901s engine, we decided that as the railway no longer has a 1960s green diesel, something ought to be done about it....... 25 901, or sould I say D7612 was chosen! On 16th August 2006: D7612, (25 901's original number) was rolled out in a beautifully applied coat of 1960s two tone green with half yellow warning panels. 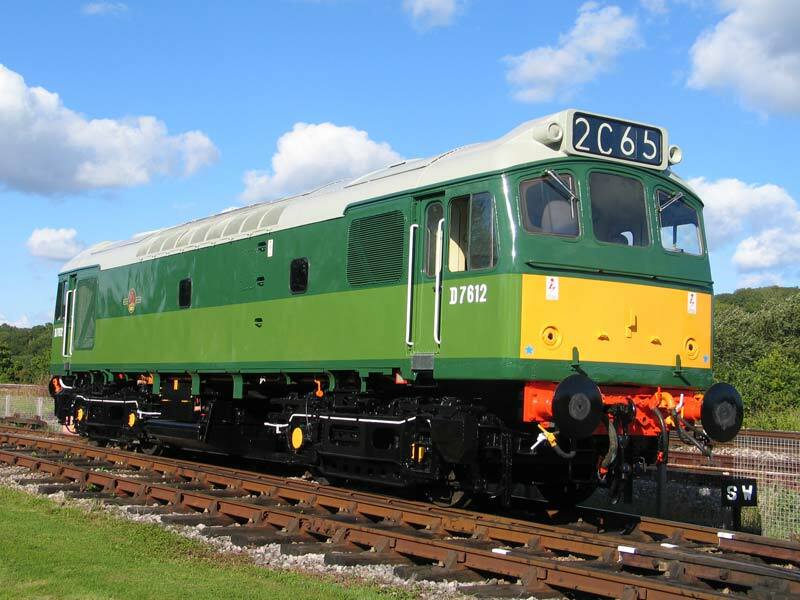 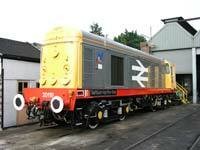 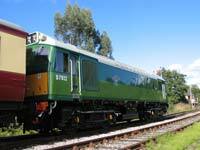 This is her original livery we believe, and certainly suits this later design of class 25 body: Judge for yourself! 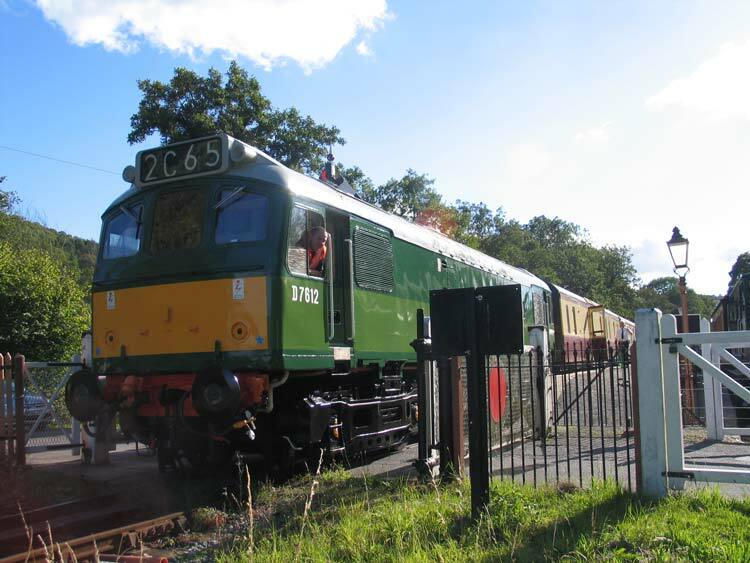 D7612 Fresh from the paint shop. 20 118 Takes a Summer Vacation to the Spa Valley Railway! 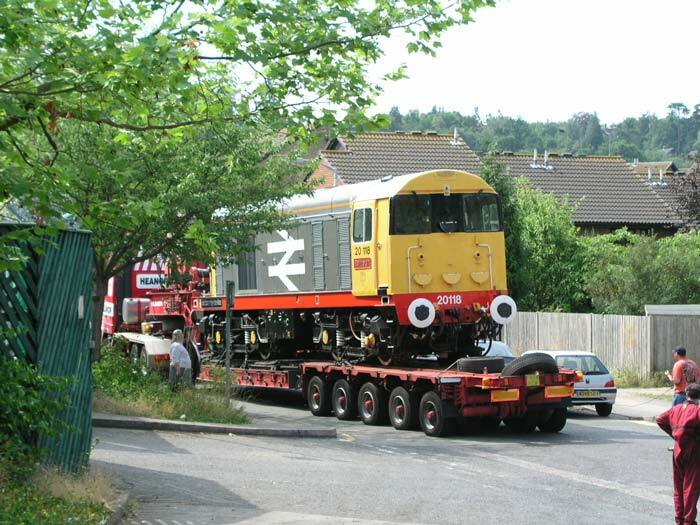 1st Aug 2006: The Spa Valley Railway at Tunbridge Wells has hired 20 118 From August to October, she arrived at Tunbridge wells last Thursday. 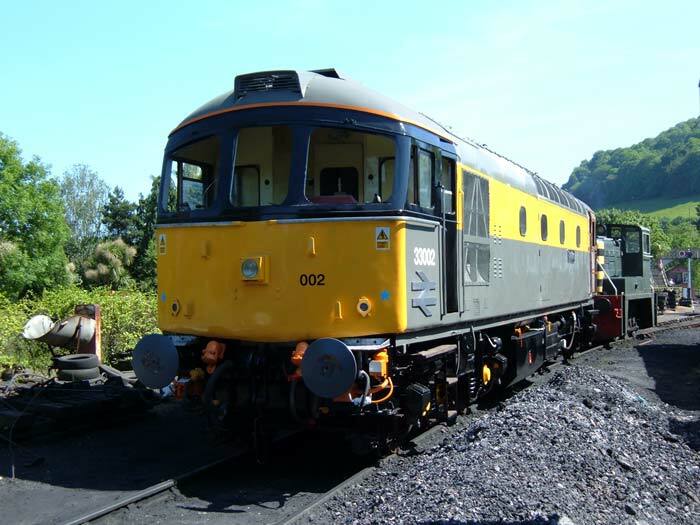 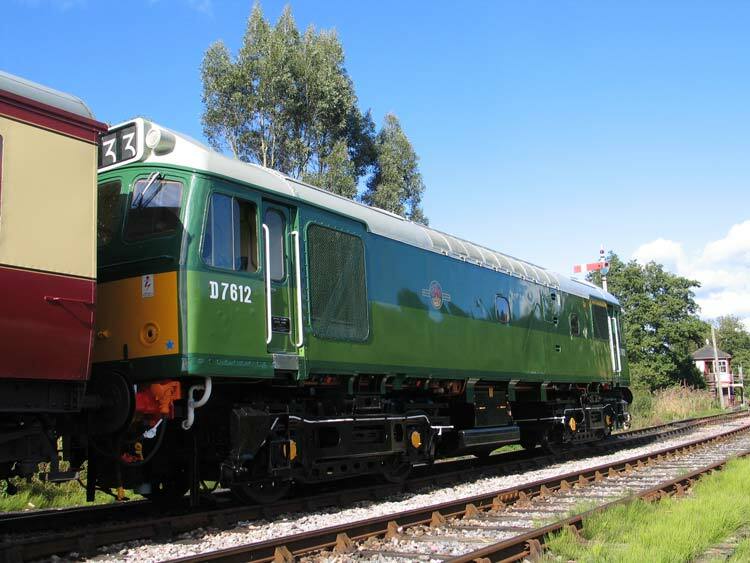 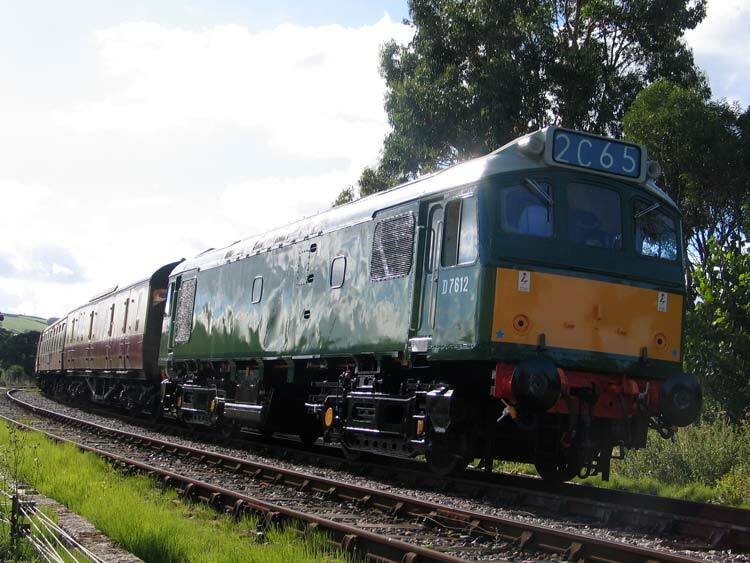 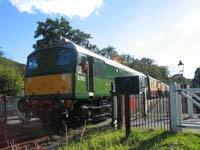 20 118 will Star at their Summer Diesel Gala on Friday the 4th to Sunday the 6th of August and will be used on various other occasions upto October, so that she will be back for our November Gronk aid Gala. 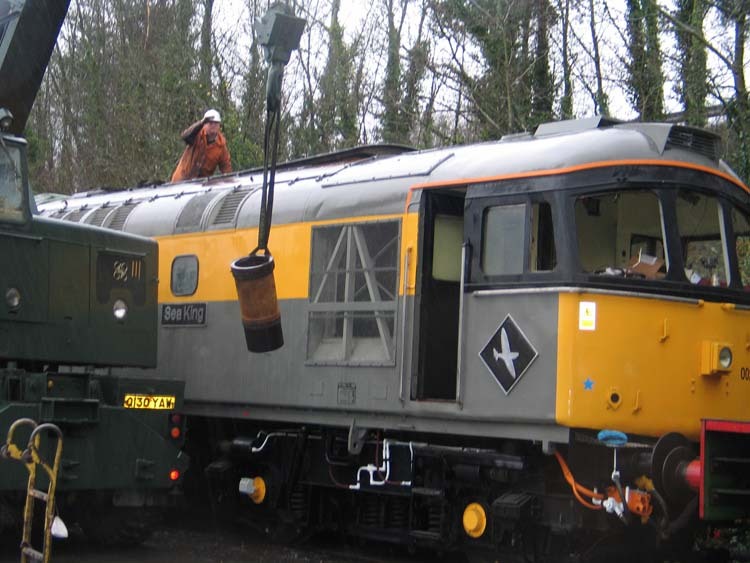 Fore more details, look at the Spa Valley Railway's Website or the South East Loco Group's Website.